Long hitters should consider using a 3 wood from the tee on still days. Find the valley on this hole and its almost certainly adding another shot. Do not be tempted to take on too much as once across the valley it is straight forward. "Generally into the wind, getting to the top of the hill is a must to give a chance of getting over the valley in two. 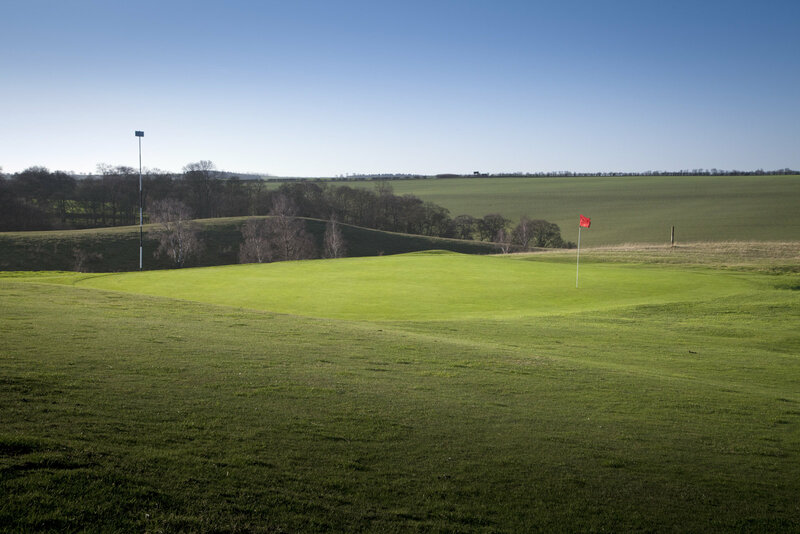 O.O.B is close left when crossing the valley, play as tight as you dare to avoid a blind approach to the green. Play left of the marker as a bunker guards the right."